Chechen President Ramzan Kadyrov will be the first Russian citizen to take part in the traditional ceremony of the washing of the Kaaba, the cube-like black shrine in Saudi Arabia’s Mecca which millions of Muslims worldwide face in their daily prayers. The Chechen leader is also expected to meet King Abdullah on Tuesday during the official part of his visit to Saudi Arabia. “It’s very important for our people and for Russia, as the world press tends to say a religious war is going on in Chechnya and that Muslims support terrorists. 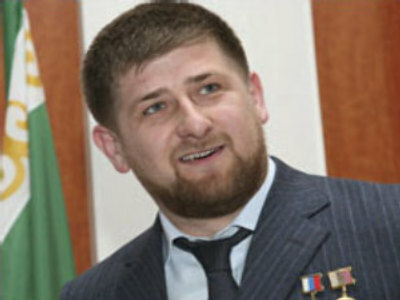 In our republic we have a Muslim majority, but we’ve never had a war on religious grounds,” said Ramzan Kadyrov. He also said he is honoured to attend the ceremony, which is one of the most important events in any Muslim’s life. “It is a great honour for any Muslim to be able to attend the cleaning ceremony at the Kaaba. My father, the first Chechen president Akhmad Kadyrov was also invited to the ceremony back in the days. Now I’m honoured to represent our country’s Muslims there. This underlines the fact that our country is taking a well deserved place in the Islamic world,” Mr Kadyrov pointed out.